Search Engine Optimization (SEO). It’s the technical side of how search engines evaluate your website content and gauge its relevancy to user queries. Or the way search engines play matchmaker, connecting your content to what people are searching for. SEO has historically been conducted by placing keywords—specific, popular words your audience searches for—in titles, description fields and the content itself. But these days search engines are smarter and keywords are not enough: the way you use them is critical. What is the meaning behind keywords and how are they being used? Specific long-tail keywords and questions make up the majority of online searches. Your best bet to being found by your ideal audience is to present clear, compelling content in a context that’s meaningful to them. For example, a search for cat could yield results for feline-related products, services and entertainment, but you’ll also find results for Caterpiller, Inc. corporate and financial information (NYSE: CAT), Raleigh, North Carolina’s Capital Area Transit and CAT medical scans. Publishing content in line with the answers prospects are searching for is the key to getting found online.This is the essence of context in inbound marketing content: what you say, the way you say it, the words you use in titles and descriptions. The trick is to get out of your head: are you at your audience or to them, from a place of understanding? We create optimized content written for specific customer personas and stakeholders, in terms meaningful to these audiences—and to search engines. Are the phrases and keywords you’re using drawing the right traffic to your site? Find out. Contact HI for a free keyword assessment. Get help understanding how context affects SEO strategy. Refine the way you present your content to better appeal to target audiences. 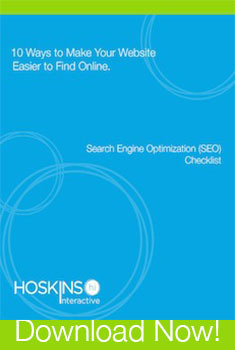 Get our free SEO Checklist now!